As with any technology a successfully SharePoint implementation relies just as much on the business and ‘softer’ user adoption skills as the technical aspects. Which is why I’ve always found it strange that there are huge amounts of great technical resources (books, examples, best-practices, blogs, conferences etc) but far less aimed at business and power users. The free on-line SPBiz conference is going to balance this a little with its focus on the needs of SharePoint Business and Power Users. There is still some great technical content in there but the focus is on empowering the less technical audience with resources to get things done and make SharePoint a success. Just some of the sessions at SPBiz! 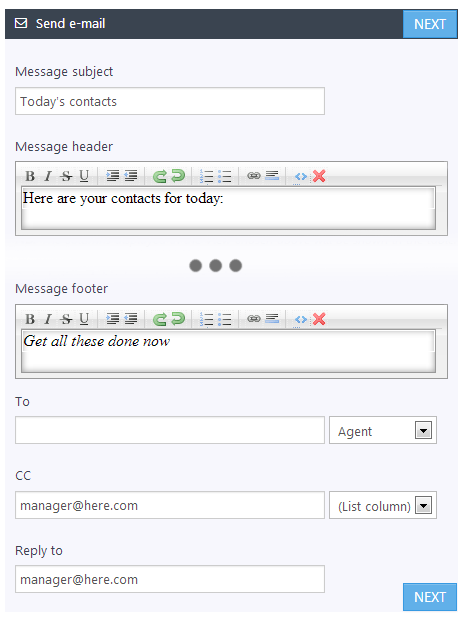 Want to use SharePoint for internal communications? June 17th and 18th – Free and Online. Register Today for free or browse the Agenda for Wednesday 17th and Thursday 18th. 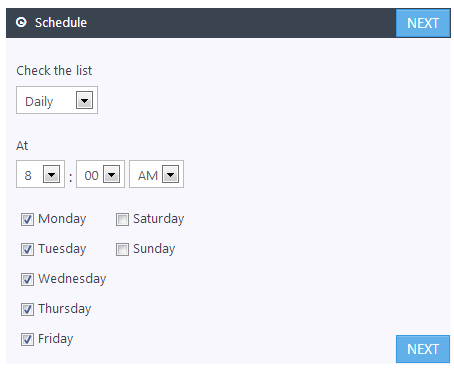 This makes getting started with Reminder 365 even easier than before! Instead of creating an account, verifying your e-mail address, and entering your O365 login credentials, you can just install the app on your site (or site collection). Clicking the app automatically authorises R365 to send alerts from your lists on your behalf – no account to setup and no passwords to remember. 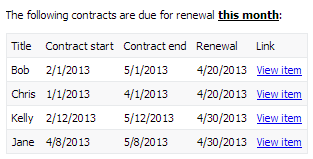 Remembering to check when contracts are up for renewal can be a chore. 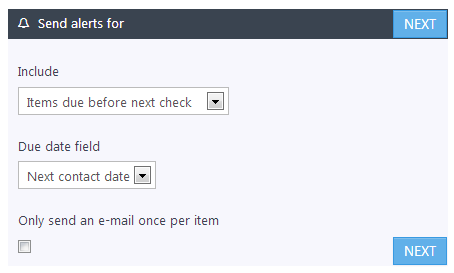 Instead of waiting for someone to nag you about it, beat them to it with your own monthly reminder e-mail. If you’ve got a list of potential or current customers, it’s likely you’ll want to keep in regular contact with them (especially in the case of sales leads). So skip making checking the list every morning, and just get a summary e-mail of today’s contacts. 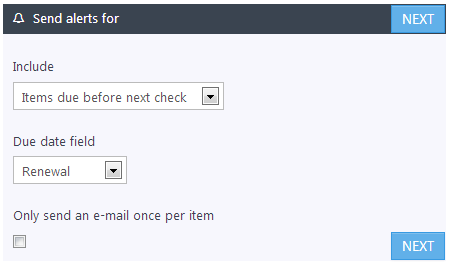 That’s less time logging in or messing around trying to use SharePoint from a mobile phone, and more time making calls. 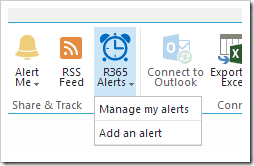 Want to send reminders of all your meetings, without having to manually set them up in Outlook? 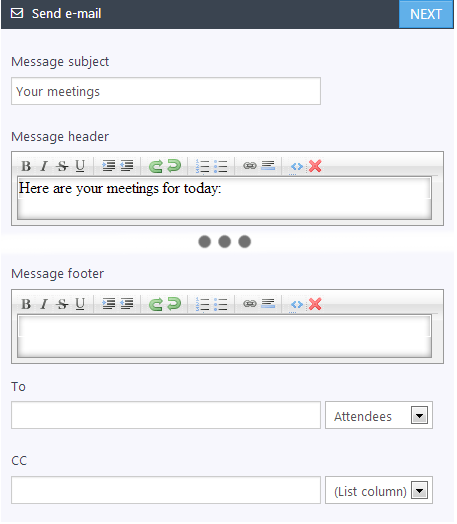 Reminder 365 can send all attendees a summary of all of their meetings today first thing in the morning. Just name your alert, save it, and that’s it! Everyone now gets meeting reminders like the below every day: It’s that easy. Reminder 365 is now available! Sign up today for your free account! Our Reminder web part has been extremely popular for those using the on-premises version of SharePoint but its not been available for those of you on Office 365 / SharePoint Online. 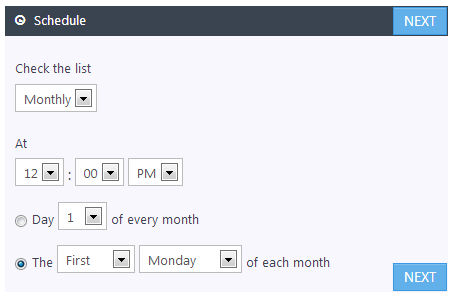 Now we have a version of Reminder especially for SharePoint Online customers. There’s no installation: Just sign up on the site and you’re good to go. Reminder 365 is free during beta. Final pricing has not yet been decided. We intend to run the beta for between 3-6 weeks. So the sooner you start, the better! Are there any perks to being a beta tester? You get a chance to shape the product before it’s released to the general public. We’re not ruling out discounts for active beta testers, but since we haven’t finalised the pricing we don’t yet know what we’d be discounting! I’ve got an idea, request, or bug I need to tell you about! Join the Reminder 365 beta! SharePoint Online – options for email enabled document libraries and lists. “Email enabled document libraries” are a popular feature in SharePoint – you can send email to a specific address and the email gets put into a document library or list. This feature isn’t supported in the hosted version of SharePoint (SharePoint Online / Office 365 or BPOS) but there are 3rd party apps that enable this. A SaaS app that allows rules for what happens to the emails based on email address, content, attachments and promote email content to list meta data. Currently in limited beta, pricing not decided. Runs as an application on a local workstation and moves emails from an Exchange Online mailbox to SharePoint Online list according to user defined rules. Free to use – support provided if you set MessageOps as ‘partner of record’. 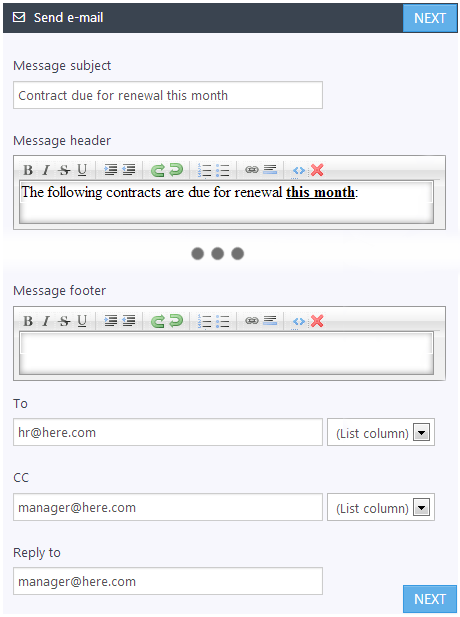 SaaS app to to provide email enabled document libraries with options to store attachments away from SharePoint storage. Pricing not disclosed. Desktop program that runs in the background on a user’s computer and move emails from Outlook 2007/2010 folders into SharePoint online or on-premises. From $165 per profile (folder/incoming email address).